Check out our Teams FAQ's. You are welcome to pitch a tent, no larger than 10' x 10', in our designated Tent City. This will be a great place for your team to gather before and after the Ride, since many of your team members may be riding and/or running different routes and at different speeds. *Please let us know if you are going to bring a tent by April 9th; this will allow us to do some necessary space management at the Ride site. Feel free to bring a team banner or signage! You can pitch your own 10' X 10' tent (or smaller), AND we’ll provide your team with a cooler of chilled drinks to enjoy! We will have a general team tent where your cooler will be ready to pick-up as you return from your ride. We will provide your team with a designated team tent (10’ x 10’) at Krause Springs waiting for you on Ride morning AND a cooler filled with ice and beverages when you get back. Identifies you as a team that has raised over $15,000!! In the middle of all of the Camp Activities! You will be sent an invitation to forward to your Team inviting them to your team tent. If you have already registered and would like to start a team or be added to a team, contact us at info@hillcountryride.org to get your team set up! In 2018, 49 teams with 508 participants raised $398,536.67 for the Hill Country Ride. We believe this was directly attributed to the Team Captains’ leadership and the support of team members to help meet and exceed their fundraising goals. 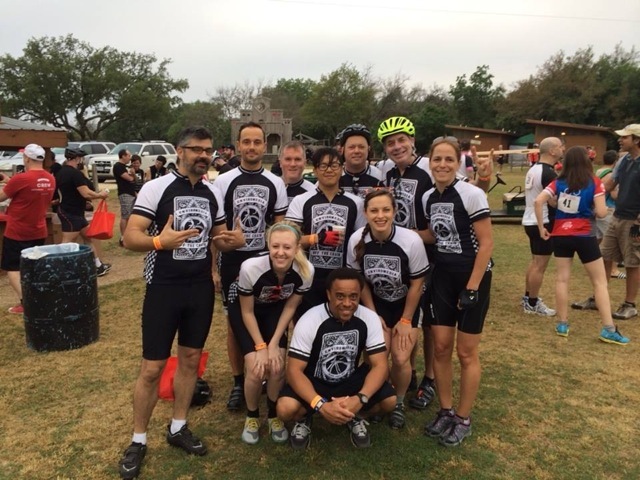 This year, our goal is for Hill Country Ride teams to make an even greater impact. View our fundraising tips if you need help getting started. You can download documents for fundraising ideas, and suggestions on how to ask for donations. And remember, we're local! The Hill Country Ride provides much needed funds to nine local non-profits who serve Central Texans living with HIV/AIDS. Teams can be any size and be made up of any group of people. Whether you are friends, co-workers, or just a group of people who want to get to know each other while helping a great cause, you can start a team. A team can be made up of Riders and Volunteers. When it comes to fundraising, a team is a great way to get the word out to a larger group of people! Whether you are participating as an individual or on a team, each adult rider must raise a minimum of $500 (or $250 for first-time riders).